In 2010, I completed my Masters Degree in Aquaculture, with an emphasis on both biology and ecology of the Manila clam Ruditapes philippinarum, at Dalian Ocean University (China). Immediately after my graduation, I worked there as a lecturer for 4 years, where I continued focusing on this species. 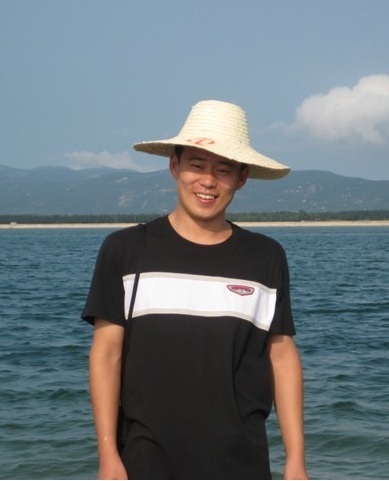 During this time I was primarily involved in the framework of CARS (China Agriculture Research System), whose overall research theme was the sustainable development of marine bivalve aquaculture. My role within the framework involved different things but the main project I worked on was related to marine environmental issues (e.g., heavy metal pollution, ocean acidification), as well as project management. I was also interested in the feeding physiology of intertidal bivalves, using stale isotopes and fatty acids as dietary tracers. When browsing the paper about the discovery that a clam called “Ming” reached the age of 507 on the BBC’s website, my first response was, “Oh, no!” From then, I knew that a new discipline, sclerochronology. “What information can we get from the shells” would be a fascinating topic, and so in May 2014 I decided to do a PhD at the University of Mainz (Germany). The elemental composition of biogenic carbonates can provide a wealth of information on past environment. Over the past three decades, the use of elemental profiles preserved in bivalve shells to reconstruct past environments has matured rapidly and an increasing number of metal-to-calcium (Me/Ca) ratios have been explored as valuable proxies of environmental conditions. Before Me/Ca ratios of bivalve shells can be used as reliable proxies of past environmental conditions, it is necessary to validate the assumption that environmental factors (e.g., temperature and salinity) are the primary controls on elemental uptake into the shells and that biological influences are negligible. This is because palaeoclimate reconstructions are typically derived from the empirical relationships between Me/Ca ratios of biogenic carbonates (calcifying organisms grown under known conditions) and environmental parameters. However, it is well known that the mechanisms of elemental incorporation into shells are mediated by both exogenous (e.g., temperature, salinity) and endogenous (e.g., ontogenetic age, growth rate, metabolic activity) factors. In spite of the potential usefulness of shells, many studies based on the assumption that geochemical “signals” outweigh biological “noise” have generally yielded contradictory results. Consequently, developing reliable environmental proxies based on Me/Ca ratios requires a clear understanding of the processes involved in the incorporation of trace elements into shells. My project will be the first to demonstrate how trace elements are incorporated into shells by (1) analyzing the dynamic processes involved in elemental uptake from the ambient water and diet; (2) quantifying the relationships between Me/Ca ratios in the water and diet, and Me/Ca ratios in shells; (3) determining the extent to which Me/Ca ratio in shells can reflect those of the water and diet; (4) eliminating the physiological “noise” when interpreting changes in Me/Ca proxies. In addition, the role of extrapallial fluid (EPF) in the incorporation of trace elements will be illustrated, although this presents some technical challenges.